Alongside our classroom based Adobe InDesign courses we can also provide Onsite InDesign Training Courses anywhere in the UK. Our convenient location in Derby enables us to easily serve any county in the UK that requires onsite InDesign Training. 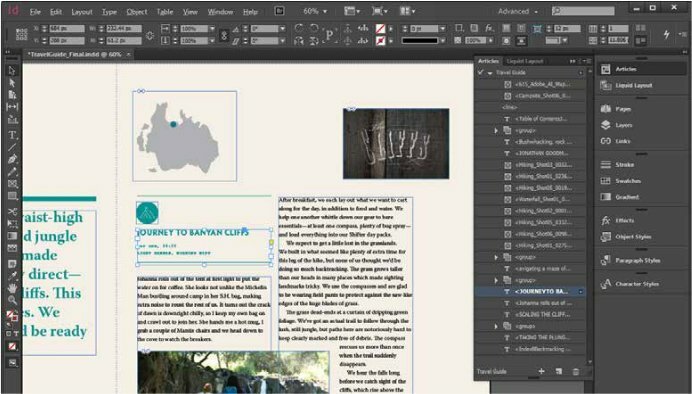 The onsite InDesign Training can be delivered at any level, for beginners we can base the course on the same structure as our Adobe InDesign Classroom based beginners course here at Creative Studios or we can tailor a complete bespoke onsite InDesign Training Course to cover exactly what you need to know. Onsite InDesign Training Courses can be a more cost effective way of training staff if you have a number of staff and a training room that can be used to host the onsite InDesign Training, all we need is a plug for our trainer to plug their laptop in to. What are the benefits of Onsite InDesign Training? We know just how daunting Adobe software can be, when you first start the programme up it can be very intimidating and its very easy to get lost in the interface with all the menus and panels that pop up. Adobe are not renowned by creating intuitive interfaces especially if you are used to using Microsoft based software. But we also know just how valuable Adobe skills are to have. And so we have designed our courses to deliver the maximum amount of knowledge in the most professional manner in a relatively short amount of time. And the secret is in small class sizes. We deliver quality training to each and every participant, where everyone has access to plenty of one-on-one time with the trainer. We’ve found that this produces the best results, our trainers have the opportunity to answer everyone’s questions and ensure that each and every participant understands and can apply the practices we are teaching them before moving on to the next. 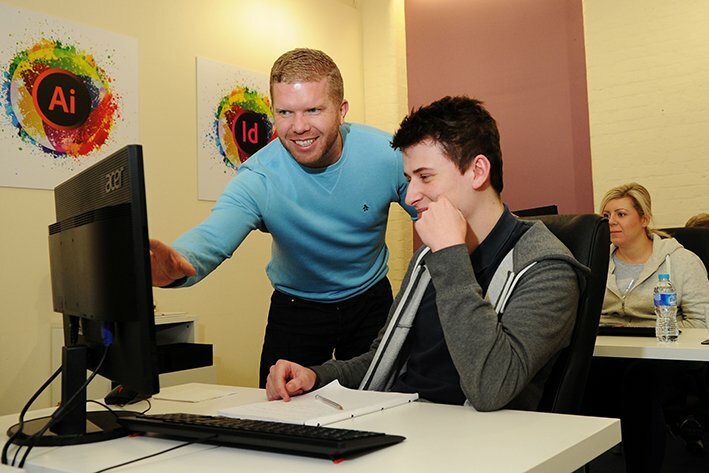 We also understand that many people particularly in marketing roles do not need to spend days and days learning every single aspect of Adobe InDesign, so we have created many short courses that concentrate on getting the delegates up to speed and confident in producing the material that they need in their everyday working lives. Before any onsite InDesign Training begins we will have a full consultation to determine your exact needs and make sure the training covers everything the delegates need to know. All delegates can use their own current projects if required so the training will be even more beneficial and tailored to everyones specific needs. We pride ourselves on excellent feedback, and our reviews are collected and monitored by one of the biggest UK based review platforms www.reviews.co.uk by visiting their website you can see a huge collection of reviews for our onsite InDesign training with consistent 5 star ratings. So if you are looking for Onsite inDesign Training in the midlands, Birmingham, Leicester, Sheffield or even further afield don’t hesitate to get in touch, it can also be a lot more cost effective than you may think! For a no obligation quotation for your Onsite Adobe InDesign Training Course just fill in the form below and we will get back to you.